Gloriana St. Clair, dean of university libraries at Carnegie Mellon University, is the 2009 ACRL Academic/Research Librarian of the Year. St. Clair is recognized for her distinguished record of service to the profession. She has contributed to the body of scholarship and scholarly communication by serving as editor of three prestigious journals — College & Research Libraries (1990–96), Journal of Academic Librarianship (1996–2000), and portal: Libraries and the Academy (2000–03). 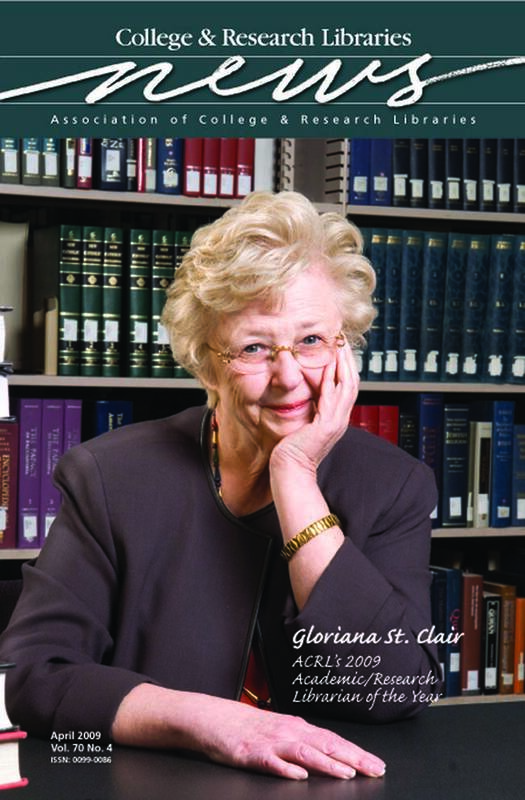 In addition to her work as an author, editor, and scholar, St. Clair has served as director of the Universal Digital Library Project since 1999.